At some point in your life, you will find yourself in the Eternal City, because as the old adage goes: all roads lead to Rome! 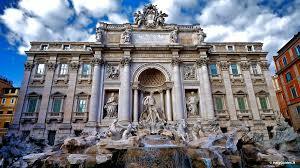 It’s easy to get overwhelmed by the number of places to visit since there are thousands of years of well-preserved history in this relatively small city, but that’s the beauty of Rome, because you can see exactly what suits your interests. For me, the ancient city is the most interesting destination in Rome: you can walk through the same buildings where gladiators fought, emperors ruled, and philosophers changed the course of Western thought. The obvious starting point for ancient Rome is the Colosseum, which conveniently has its own Metro stop. Buy your ticket online or at the door, but skip buying a tour because the small museum inside provides enough information in Italian and English for you to understand the building. Fortunately, the ticket for the Colosseum is also a ticket for the Roman Forum and Palatine Hill and it lasts 2 days, so you can savor every moment. Since the Forum and Palatine hill are mostly ruins and have measly explanations, I would recommend getting a tour so you can really picture the incredible city that used to stand on the Palatine hill and how it changed over time. If the Renaissance is what interests you, then plan to spend a full day in Vatican City and the Vatican Museums. Cross the Vittorio Emanuele II Bridge and marvel at the statues and view of Castel Sant’Angelo on your way to Saint Peter’s Basilica. Take the main street, Via della Conciliazione, past all the souvenir shops to St. Peter’s Square, where you can take excellent photos of the Basilica and grab a gelato to enjoy on a hot day. I highly suggest joining a tour for the Vatican Museums, which usually includes the Sistine Chapel and the inside of St. Peter’s Basilica. Here you can see masterpieces from Giotto, Raphael, da Vinci, Caravaggio, Lippi and, of course, Michaelangelo. Finish your culturally enriching day with dinner in the nearby Trastevere neighborhood, which is full of trendy bars and restaurants. For art lovers of every kind, book tickets well in advance to the Borghese Museum and Gallery at Villa Borghese. Your ticket will have a specific 2-hour window for entry, so arrive early and explore the beautiful park before you are awed by Bernini’s life-like statues and Caravaggio’s evocative Boy with a Basket of Fruit. If you are in the park in the late afternoon, walk to the Terrazza del Pincio to watch the sunset behind Vatican City. This is absolutely the most romantic view in Rome: musicians perform love songs on the terrace and couples watch the sky turn orange, pink, and yellow from high above the city. From the Terrazza you can take a staircase to the Piazza del Popolo and stop for dinner on your walk home. Of course, no trip to Rome would be complete without making a wish at the Trevi Fountain. Any time that the sun is out there are bound to be crowds, so be prepared to wait your turn to throw a coin in the fountain or get your perfect vacation photo. And finally, you can’t leave Rome without getting a perfect oven-baked pizza. Conveniently located next to Termini Station, you will find the Living Room Café – a family-run restaurant that always has someone from the family chatting with guests and making you feel at home. I like the classic Margherita pizza, and you can tell Chef Andreas that Maddy sent you…but only if you speak Italian!